It's never been so easy to stay connected whilst abroad. With an easy pick up and drop off service at Hong Kong International Airport, you'll enjoy unlimited WiFi access throughout your stay in Malaysia, without the stress of sourcing WiFi once you get there. The speedy 4G device connects up to five different phones, laptops and tablets at once and supports 4-6 hours of surfing on one battery charge. So add some spontaneity to your travels with the ability to plan on the go and keep in touch with friends and family wherever you are. Whether you're arriving in, or leaving Hong Kong for another destination in Asia, we've got you covered with WiFi pick up at Hong Kong Airport for holidays not only in Malaysia but also South Korea, Thailand, Singapore, Taiwan, Japan and more. The Wifi pocket with very good connection and battery can last at least 8 hours. The Wifi pocket with very good connection and battery can last at least 8 hours. The connection is fast and non interrupted. We have a very good experience on browsing the web wherever we are in Kuala Lumpur. The battery is long lasting that we only need to recharge once for a 15 hour excursion everyday. Will definitely use it for our next trip and recommend to our friends. The connection is fast and non interrupted. We have a very good experience on browsing the web wherever we are in Kuala Lumpur. The battery is long lasting that we only need to recharge once for a 15 hour excursion everyday. Will definitely use it for our next trip and recommend to our friends. reasonable price! convenient collecting place and methods! reasonable price! convenient collecting place and methods! Fantastic Wifi connection, and this has made our trip much enjoyable! Fantastic Wifi connection, and this has made our trip much enjoyable! The wifi egg is stable. The wifi egg is stable. Greetings from Klook Travel. 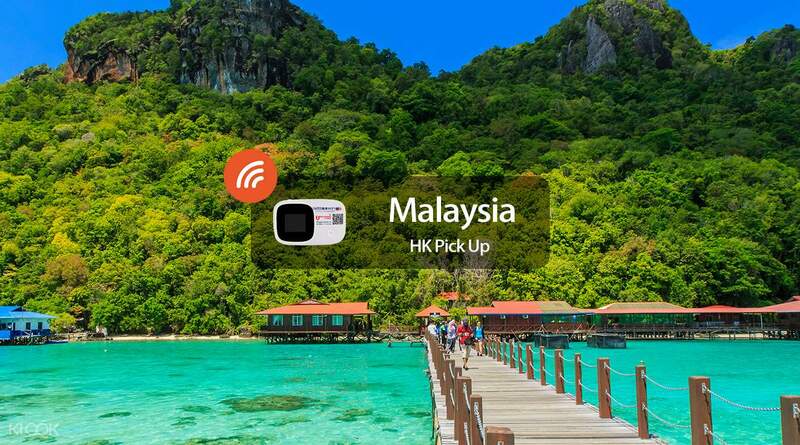 We had come across your review regarding (4G WiFi (Hong Kong Pick Up) for Malaysia) and have looked into the poor signal connection that you have experienced. Our specialist will get in touch with you shortly to assist you. Thank you! Greetings from Klook Travel. We had come across your review regarding (4G WiFi (Hong Kong Pick Up) for Malaysia) and have looked into the poor signal connection that you have experienced. Our specialist will get in touch with you shortly to assist you. Thank you!